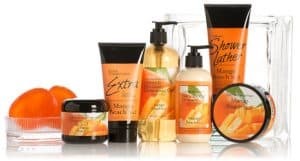 Virginia Candle Company™ is a leading developer, manufacturer, and marketer of premium quality fragrance delivery products. The Company's exceptional quality and innovation have become household favorites across the nation. Premium wax blends and carefully formulated fragrances ensure consistent smells and one of the longest burn times in the industry. Virginia Candle Company™ is also a leading pioneer in the development and use of the finest renewable natural and organic resources. 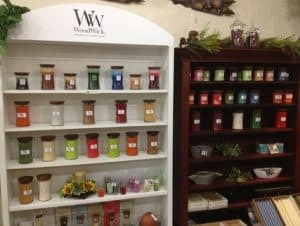 From organic wicks made of wood to fragrances infused with essential oils to proprietary natural wax blends, Virginia Candle Company™ is dedicated to the purity of ingredients. Camille Beckman produces some of the finest creams and lotions in the world. In order to do so, they base their formulas on rich and wholesome ingredients, blending small batches and using hand-crafted, old-fashioned methods that create a difference you can feel. Indeed, their most popular product, Glycerine Hand Therapy™, has been ranked one of the best selling personal care products on the market and is proven to leave your hands feeling moisturized and nourished.